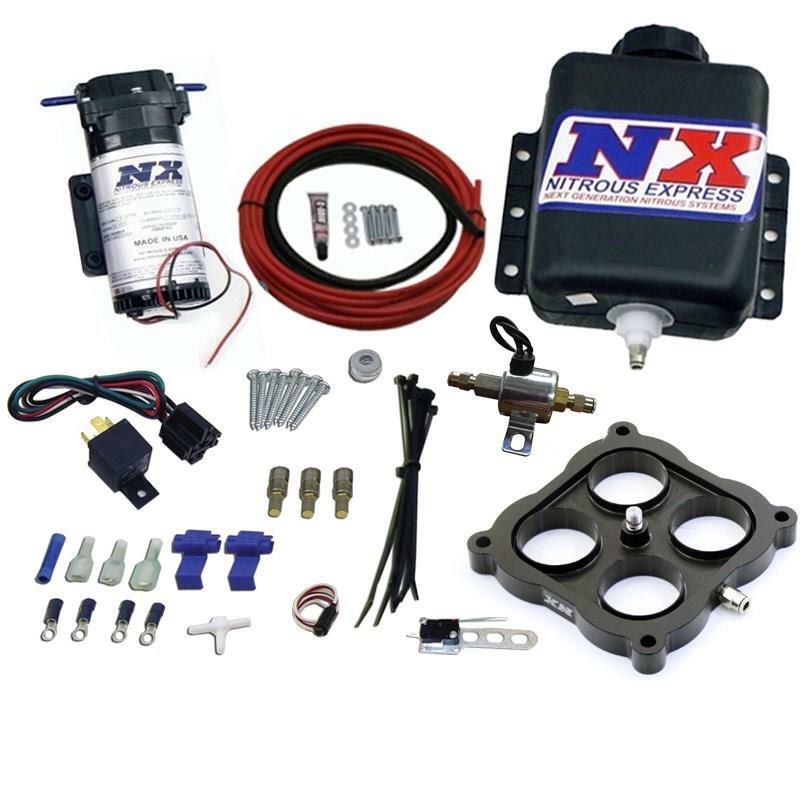 Nitrous Express Water/Methanol Injection System UNIVERSAL - Dezod Motorsports Inc - Home of the automotive performance enthusiast since 2002. NX direct port water methanol systems inject the water methanol mixture directly into each intake runner providing excellent distribution to each cylinder. These systems include a high pressure electric pump, high pressure push lock hose, filtered nozzles, nickel plated fittings and a composite reservoir. Stage one systems include a wide open throttle activation switch while stage 2 and stage 3 systems include digital progressive controllers that control water methanol output. Stage 2 controllers are adjusted by setting rotary dials on the progressive box. Stage 3 controllers include a LCD display and can be finely adjusted for low, mid and high airflow levels.The LCD Screen displays boost pressure, fuel injector duty cycle, as well as water-methanol injection percent.